Time has come to apply for the Best Event Awards 2017 and contend for the renowned golden elephant awards and the Bea World Grand Prix in the global competition dedicated to events and live communication. 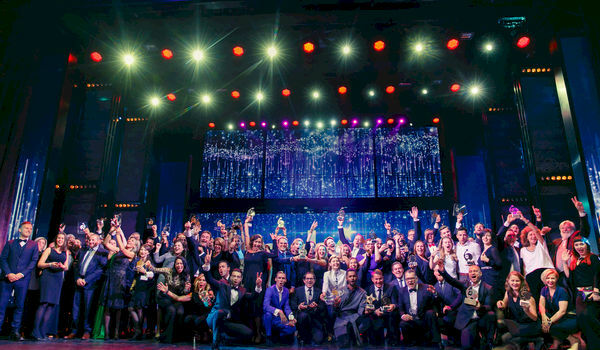 The Awards are open to event companies based anywhere across the world. All nominees will be offered the unique opportunity to showcase their projects live in front of a prestigious jury composed of top corporate event professionals from all over the globe plus senior representatives of national event agencies' associations. The Jury's President of the 12th edition of the Best Event Awards will be Andrea Faflíková, who is currently in charge of setting PR & event strategies in Central Europe, the Middle East and Africa (CEEMEA) for The LEGO Group. Entries can be commercial or non-commercial events and live communication projects which have taken place anywhere in the world between 1st August 2016 and 31st July 2017. There are many categories to choose from: 14 event categories (Conventions, Cultural Events, Educational/Training Events, Opening/Celebration Events, Launch Events, Live Entertainment, Roadshows, ...) and 5 feature categories (Low Budget Events, Sustainable Innovations, Use of Technology, Use of Web and Social Media, Meeting Design). In addition, projects can be entered in one of the two Macro Categories to compete for the main prizes: Best B2B Event Award and the Best B2C Event Award. The Jury will consider every project against four key criteria: creativity & innovation, execution, effectiveness and channel strategy. This first round of voting will be carried out online and will determine the shortlist of entries that will pass to the onsite phase: an open, face-to-face, interactive situation with the Jury and the audience that will include a Q&A session during Bea World Festival. The Festival will take place in Porto between November 15th and 18th, 2017. Bea World Festival is the place Where Creativity Meets Business: the essential meeting place and networking event for the international event community. Three inspiring days full of creativity, networking opportunities, knowledge transfer and destination experiences culminating in the Awards Ceremony celebrating the winners of the Best Event Awards. Knowledge, networking and awareness are the key reasons why old and young professionals from events and connected disciplines join the Festival each year. Bea World will indeed offer lots of opportunities to build relationships with peers and influencers, to learn from experts and industry leaders and to increase companies' brand awareness.